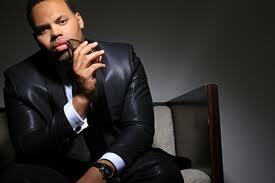 Eric Roberson Speaks Soul – Pure & Unfilitered! With a voice that moves the soul and lyrics that stroke the imagination, US soul singer Eric Roberson is the perfect embodiment of words and flow. Hailing from Rahway, New Jersey, Roberson, or as he prefers to be called ‘Erro’, has been creating sweet music and making a name for himself on the independent soul music circuit for the last 20 years, with its debut single called “ The Moon” released back in 1994, through Warner Bros Records. Toiling tirelessly on a career that he has academically backed up with a Music Theatre Degree from prestigious Howard University, Roberson is no stranger to fighting for what he wants. His career, which boasts an impressive 9 album strong discography from 2001 to present, countless awards and nominations through Grammy, BET and Soul Train and a myriad of collaborations, which include singing and writing credit for artists ranging from 112, Jill Scott, Musiq, Dwele and DJ Jazzy Jeff to name a few. 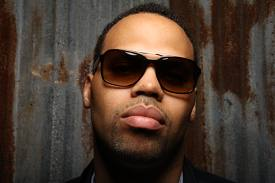 To say that Eric Roberson is one of the industry’s best kept secrets would be letting him off lightly. 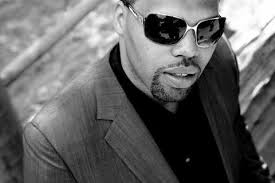 Having penned various award winning songs through his EMI song writing deal , Erro soon became a member of Jazzy Jeff’s “ A Touch of Jazz” production company and made significant contributions to Jeff’s “ The Magnificent “ album in 2002. He continues a successful song writing and recording career to date through his own Blue Erro Soul imprint. Such an honour to talk to you Erro……How has life been treating you of late and what has been keeping you busy? The honor is truly mine. Life has been beautiful. I joined a group called United Tenors with gospel legend, Fred Hammond, R&B legend Dave Hollister. We did an album that’s been out for about 5 months and we are currently touring. Outside of that I’m doing my own shows, recording for a new album and taking care of my two little boys at home. I have been a huge fan of your music for years now and just love your sound and style. I call it neo soul infused laced with organic hip hop. How do you best describe the music you create Eric and what does it mean to you? I call it honest music. Mainly cause I just do what I feel. I’m a fan of all genres and listen to everything, so I want my music to reflect that. I’m definitely a hip hop head at heart, so you can hear it in most my music. 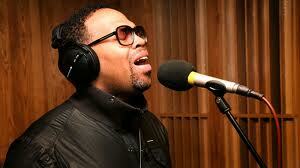 In my opinion the neo soul movement was mainly soul artist who were greatly influenced by hip hop. When you listen to D’angelo’s ‘Brown Sugar’, Erykah Badu’s ‘On and One’, or Jill Scott’s ‘Long Walk’ they could almost be rap songs. That has always been how I looked at it. You hail from New Jersey, went to Howard University in DC and align your musical self for the phenomenal talent that is Philadelphia. Can you share your thoughts on what your musical journey has been like thus far since your first single “The Moon” was released back in 1994? I’ve been very fortunate to be surrounded by some of the most amazing singers and musicians thru my musical journey. Growing up in New Jersey was great because we weren’t dominated by any style of music. We were close enough to NY to feel the birth of hip hop, house music was extremely popular, some of the biggest rock acts came out of Jersey, and gospel music surrounded me from day one. So I had a lot to take in and learn from. Howard University was a huge leap for me. Not only did I get signed to Warner Bros and released “The Moon”, but I became a man at Howard (University). I got my heart broken, really found and lost love while I was there. There I really figured out what I wanted to do and how I wanted to do it. Working with a ‘Touch Of Jazz’ in Philly was like grad school for me. That is where I really became the artists I am today. I was able to learn how to get lost in music and chase the sounds in my head. And I’ve been chasing them ever since. Your career has seen you collaborate with artists like Jill Scott, Music Soulchild as well as being a member of Jazzy Jeff’s ‘A Touch of Jazz’ production company as well as releasing your own albums along the way. I first got introduced to you Erro on a number of independent release singles you had done and then of course your work on Jazzy’s album “The Magnificent” in 2002. It is safe to say that your pairing is a match made in music heaven … what new projects do you and Jazzy have brewing? Anything Jeff wants to do I’m down. I still cherish those ‘Touch Of Jazz’ days. I remember when Jill and Musiq walked into the studio for the first time. And it was an honor to watch and participate in their first albums being made. Seeing Jeff in the studio is like watching Michael Jordan on his backyard basketball court. Especially on the turntables. Dude is just a genius. Currently I’m working with him on an artist named Dosage. He’s amazing as well. What serves as your greatest inspiration to create the music you do Erro? Life for the most part. We should never have writer’s block. There is far too much beauty and ugliness surrounding us to be inspired by. I have been pretty fortunate to wake up most days with an idea and sound in my head. And I’m deeply in love with the art of combining words. When you’re not in the studio and working what do you do to invest in your inner spirit? Any tips and advice for aspiring singers on better investing in themselves? Read, read, read! If you don’t read books, read magazines. Put on music and turn the sound off and read their faces and energy. Observe your surroundings. For example, when walking thru a hospital take a minute to see the equal balance in joy and pain in that building. And constantly work on getting out of the way of yourself and allowing the art to flow thru you. What is the best thing about getting up every morning and being Eric Roberson? My two boys, Rock (3) and Ryder (1). They love music and along with my wife are now the first ears to hear my musical ideas. To know I can do what I love for a living and can provide for my family is something I thank God for everyday. What are your thoughts on the current state of soul / R&B and the fusions with the dance scene that seem to be occurring of late with a lot of today’s younger artists? How do you ensure what you do remains pure and unfiltered? I think it’s in good hands, especially when you consider the independent movement. The majors may be extremely commercial and one sided but history shows that when it gets like this expect someone extremely soulful to come out and bring things back to neutral. Pure and unfiltered will always remain and every now and then rise to the top. I’m satisfied with that. Any thoughts on visiting Australia one day? What can you share with me that intrigues you about the land down under? I pray that I make it there soon. I have a lot of friends who are either from Australia or has visited and performed there, and they’ve said how beautiful it is there. I’m always open to learn about a new place and look forward to seeing how the experience with change me. Life is about growth and change. What’s next for Eric Roberson? I’m known to freestyle a lot and I treat the future as such. I’m open to whatever is in store for me, but it’s safe to say it will include music, my family and sharing what is created. ← DJ Carl Alley – A Lesson in Longevity!